The Los Angeles Lakers simply destroyed the competition during the 1986-87 regular season, racking up 65 wins behind an offense that scored 117.8 points per game. 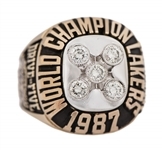 Magic Johnson led the team in scoring (23.9 PPG) and assists (12.2 APG), while James Worthy added 19.4 PPG. 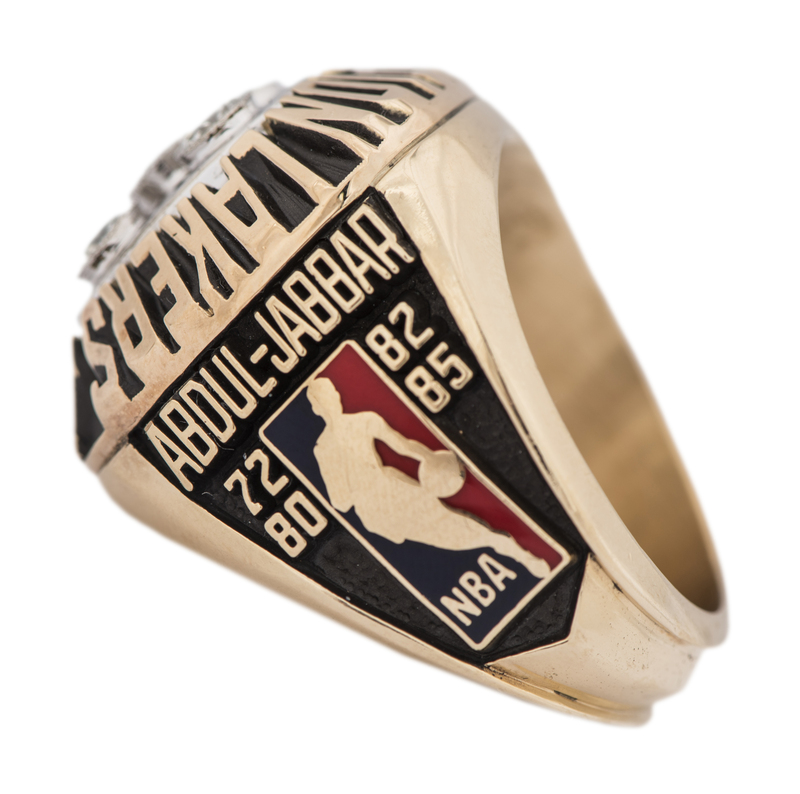 Kareem Abdul-Jabbar averaged 17.5 points per game to go along with a team-high 1.2 blocked shots. The Lakers cruised through the Western Conference playoffs, defeating the Denver Nuggets, Golden State Warriors and Seattle SuperSonics while posting a combined record of 11-1. 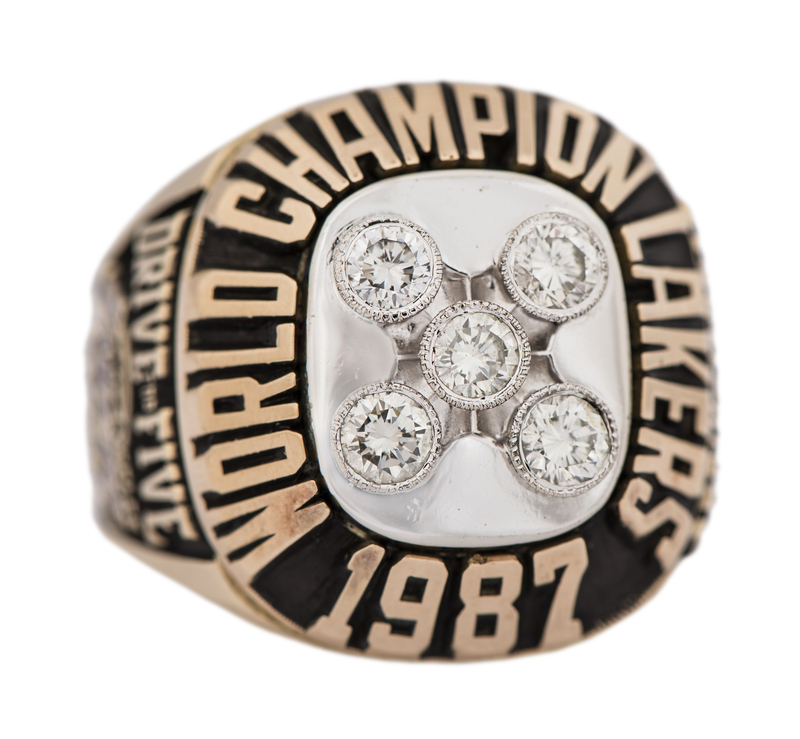 In the NBA Finals, the Lakers beat the Boston Celtics, 4-2, to win the championship. 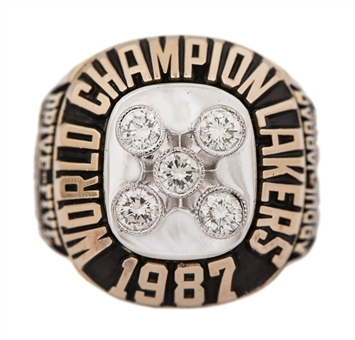 This offered 14K gold 1987 Los Angeles Lakers NBA championship ring was presented to Kareem Abdul-Jabbar. 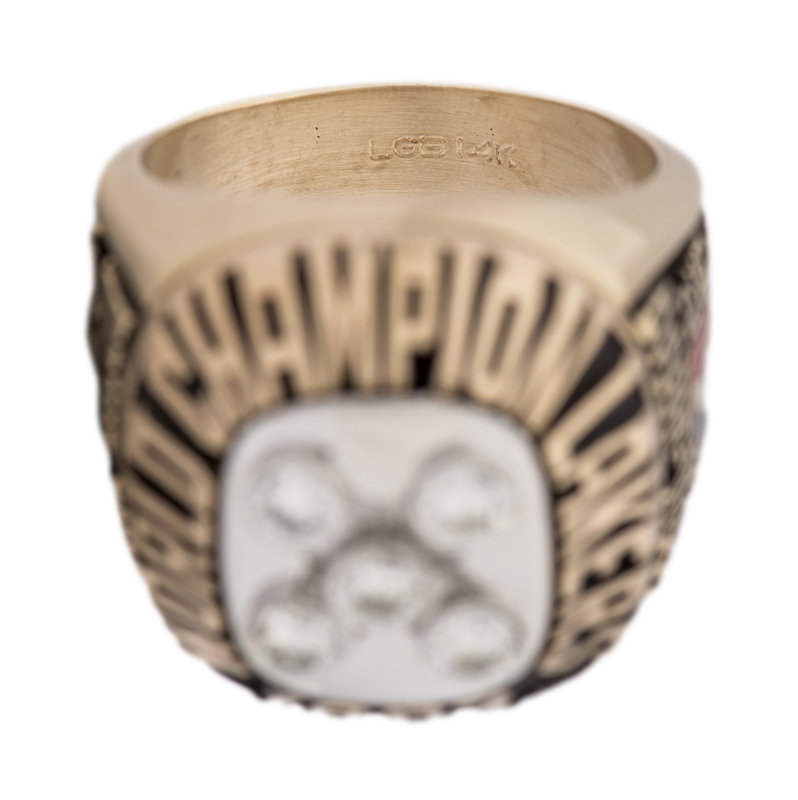 This ring features five round diamonds – one for each of their team titles with the franchise in Los Angeles. 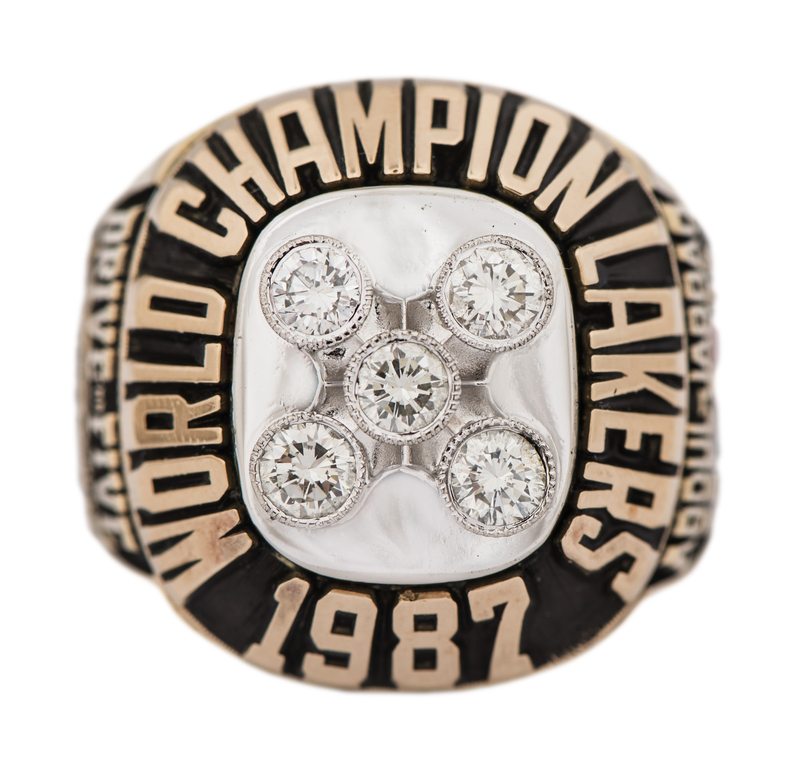 “WORLD CHAMPION LAKERS 1987” appears in relief work around the perimeter. The NBA league logo, finished in enamel, centers one side of the ring, with the name “ABDUL-JABBAR” appearing above it. Also shown are the years “72 80 82 85” which were previous L.A. title seasons. 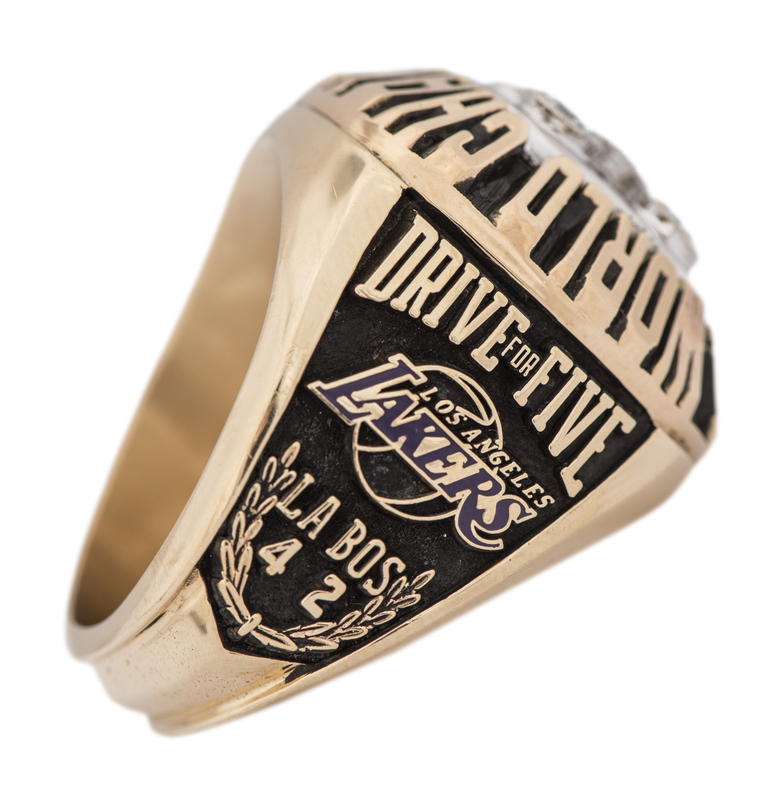 “DRIVE FOR FIVE” is displayed at the top of the opposite side, above a purple enamel-filled team logo. The Finals result of “LA 4 BOS 2” is at the bottom. 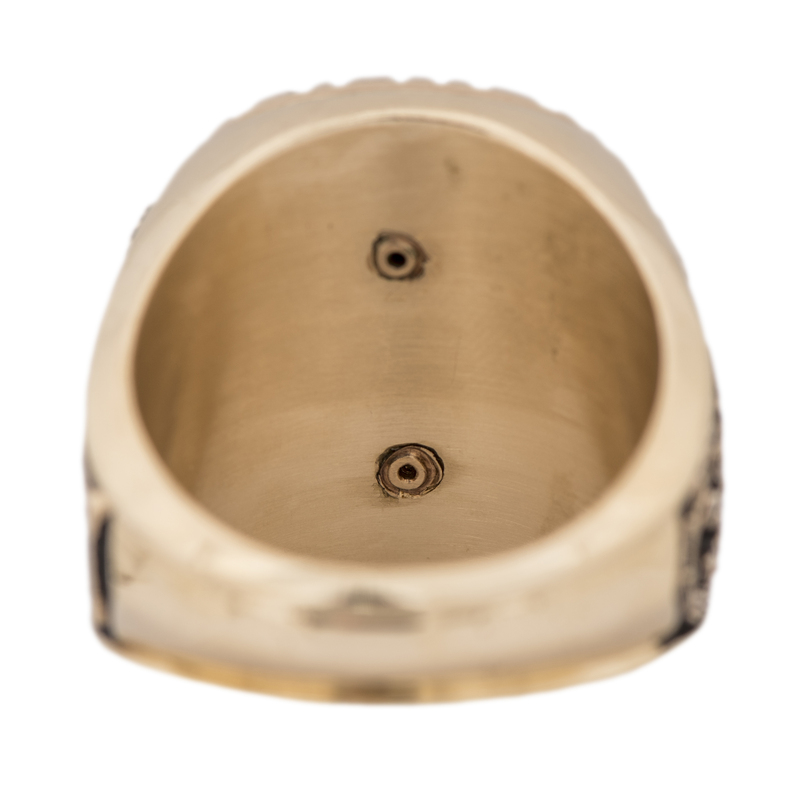 The inside of the band is marked “LGB 14K”. This item is an approximate size 12 and weighs approximately 47.4 grams. 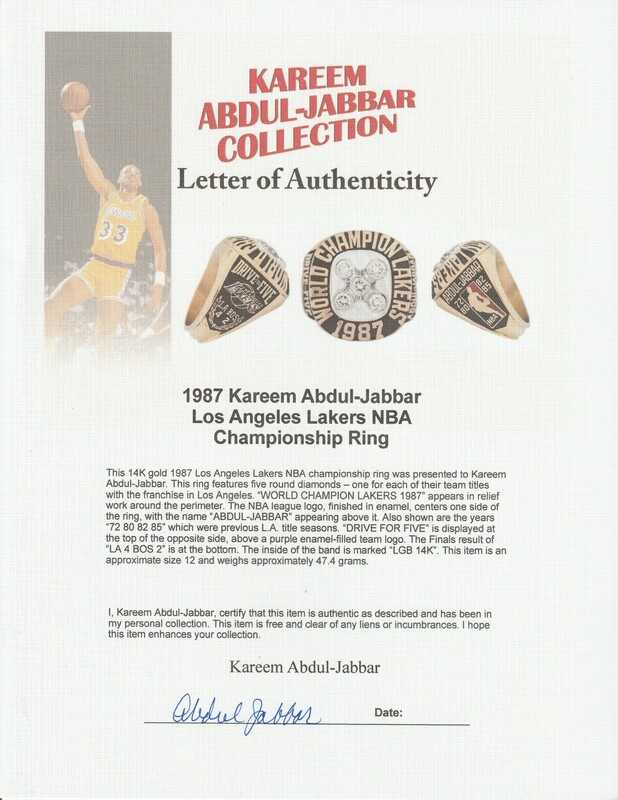 This ring comes with a signed LOA from Kareem Abdul-Jabbar. Auction closed on Sunday, March 3, 2019.